We are pleased to welcome our second new partner bank this week: Bank and Clients (B&C) is number 37 on our marketplace and will offer its attractive term deposits on our German localized platform www.weltsparen.de. Savers will be able to open term deposits, using a fully online process to invest up to EUR 90,000 with B&C. The bank offers term deposits with maturities of 6 and 12 months that offer interest rates of 0.75 and 1.15 percent respectively. Deposits up to GBP 85,000 per customer (equated to approximately EUR 96,000 on 6 October 2017) are secured by the deposit guarantee scheme of the UK in accordance with EU directives. 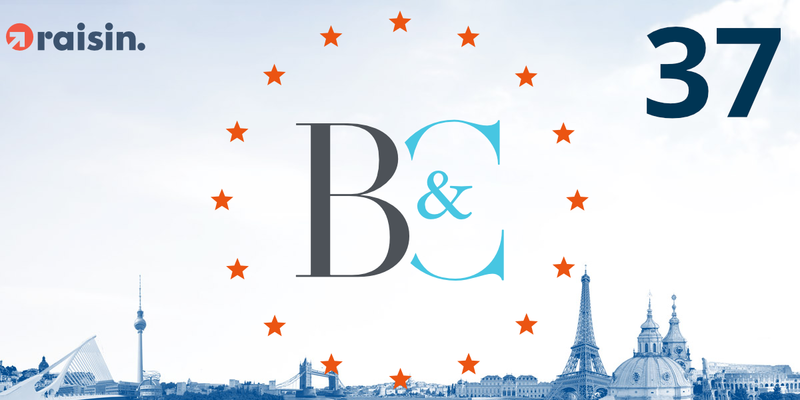 B&C is headquartered in the UK and was formed in 2014 through the combination of two successful UK organisations: Church House Trust, a retail bank which served its clients since 1978 and Ocean Capital, a direct lender to corporate clients, founded in 2002. Find out more about Raisin.